Tea is internationally one of the most favored and inexpensive beverages, next only to water. More than three billion cups of tea are consumed daily worldwide and considered to be a part of the huge beverage market, not to be seen in isolation just as a ‘commodity’. Tea active ingredients are of interest to functional foods markets. Tea is a complex substance, which consists of many components and composition of tea has been researched in a wide range in the last few years. Most of the studies were performed by using chromatography methods. The review presents a summary of the latest information concerning the chemical composition of large variety of tea by different chromatographic methods, which has not previously been reviewed. Qualitative and quantitative analyses of volatile compounds, that contribute to flavor and aroma in tea composition were executed by gas chromatography (GC) and gas chromatography-mass spectrometry (GC/MS). Low volatility organic compounds were carried out by using high-performance liquid chromatography (HPLC) methods and GC/MS. Determination of catechins and coffein in different types of tea (green, black, oolong, pu-erh) were investigated by HPLC of the most current published researches. Exploration of tea chemical composition helps in evaluating its quality and helps to control and manage its growing, processing and storage conditions. Consequently, evaluation of tea quality does not only depend on subjective organoleptic appraisement, but also on objective physical and chemical methods with additional determination of tea components most beneficial to human health. The findings of this review are meaningful for the production of healthier teas and to help increase nutritional value of tea, ameliorate quality by supplying through developing of the growing, processing, and storage conditions. TUIEBAYEVA, A. M. et al. Determination of the chemical composition of tea by modern physico-chemical methods: a review. International Journal of Biology and Chemistry, [S.l. ], v. 11, n. 1, p. 142-152, aug. 2018. ISSN 2409-370X. Available at: <http://ijbch.kaznu.kz/index.php/kaznu/article/view/309>. Date accessed: 24 apr. 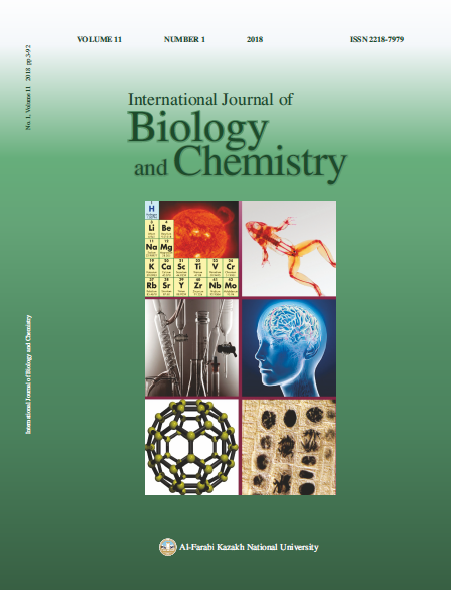 2019. doi: https://doi.org/10.26577/ijbch-2018-1-309.